Family portraits are not just photographs, they are acts of love. There is no better way to cherish the present and remember the past. Serving mainly the the Lawrence Park, Lytton Park, Leaside, Rosedale, Forest Hill, and Davisville Village neighborhoods for over 16 years. I am happy to travel to you wherever you are in the GTA. In the summer months I regularly travel to Muskoka, Georgian Bay, The City of the Kawarthas and Haliburton to photograph families enjoying time together at the cottage. Storey Wilkins Photography in Toronto specializes in family portraits through the ages and stages. Looking for an elegant way to capture your pregnancy, a fun way to follow the babies through their early years, or a lovely three generation portrait that includes your parents, your siblings and their kids? I would be honored to be your family photographer! Storey Wilkins has a magic touch with family portraits. She can swiftly orchestrate the poses, the prompts and the emotion to create the perfect moment – again and again and again. You will look, and even feel, relaxed. Your group photographs will be great, and the wonderful in-between moments will warm hearts. These lifestyle sessions are packed with fun! You will see many cuddles, bright shiny smiles, and of course energetic and flattering body language in the photographs. Storey captures the experience, not just the expressions. She creates a family story, a moment in time that is more than just a photograph. Storey is timely and reliable at each phase of the process. Pick a special spot such as your home, favorite park, even your cottage (travel fees apply) and Storey will find the best use of the space, any time of year. Your session will take about one hour. From this she will create high quality printed photographs, archival albums, custom wall displays and thoughtful gift prints. 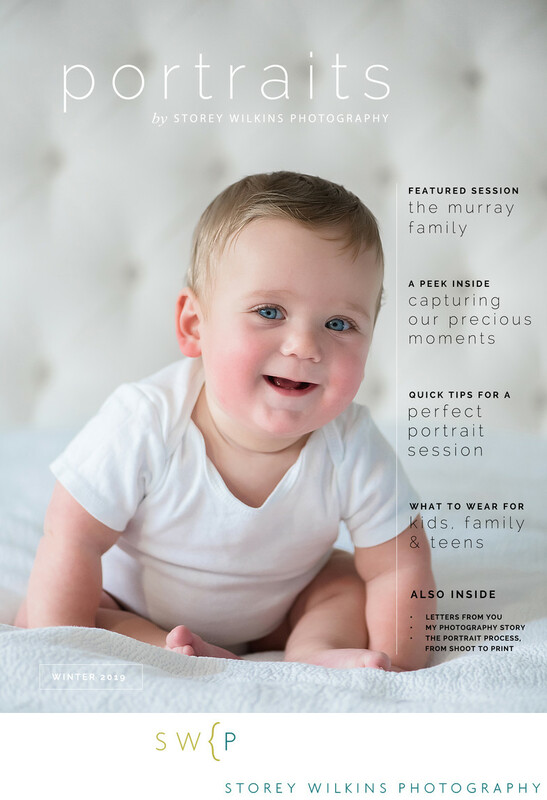 From the session to the finished prints and albums, Storey brings you the art of storytelling through photography so that you can savor your family’s great moments and protect your story for generations to come. All sessions include a password-protected web gallery for easy access to ordering. Please note we DO NOT include the digital files with a regular session fee. They can be purchased separately or through the DIGITAL BUNDLE. Please CONTACT ME to request more details about my 2019 services and fees. I am happy to create custom packages for you based on your preferences. I would be honored to be your family photographer.